Home Late Model Stock Cars Heim, Burns frustrated following late-race accident in Icebreaker. MYRTLE BEACH, SC – Both Corey Heim and Will Burns found themselves in a position to win the 4th Annual Icebreaker at Myrtle Beach Speedway on Saturday afternoon, but neither driver was celebrating in victory lane once the checkered flag fell. Ty Gibbs would be the one celebrating with his crew in an emotional victory after 125 green flag laps, while Heim and Burns were forced to gather their thoughts and regroup for the next race after a late-race accident took both drivers out of contention for the win. With eight laps to go, Heim attempted to go to the inside of Burns in Turn 3 for the second position, but ended up contacting Burns’ left rear, which sent his #41 around. Officials determined that Heim acted too aggressively while attempting to pass Burns and elected to send him to the back of the field, much to the chagrin of Heim. Heim believed that he had followed the advice of his car owner Lee Pulliam perfectly to finally bring home his first official Late Model win. After starting in the seventh position, Heim implemented the tire-saving strategy that helped guide Pulliam to victory lane at Myrtle Beach numerous times throughout his career, as he dropped back to the tail end of the lead draft. Although Heim felt like he dropped a little too far back in the opening stages of the race, he ended up benefitting from a couple of cautions that bunched the field together by quickly carving through the field. Heim ended up getting passed by Gibbs for second with under 20 laps to go, but he knew that he could contend for the win if he could keep pace with the #18 Nelson Motorsports Late Model. Heim’s hopes for a victory ended after the contact with Burns, with the ensuing penalties resulting in the two drivers finishing 12th and 15th respectively. Burns voiced his displeasure towards Heim on the track and in a conversation after the race, but he stated that he is ready to put the disappointment of the Icebreaker behind him and move on to the next race. Burns had one of the fastest cars to begin the afternoon, as he was forced to hold off polesitter Sam Yarbrough in a battle that featured a handful of lead changes. Both Burns and Yarbrough were able to maintain their fast pace until the last third of the feature when Yarbrough began to fall behind the group of cars that had saved tires, which left Burns as the driver to hold off Gibbs and Heim. Burns and Gibbs dueled each other side-by-side for several laps until Gibbs finally wrestled the lead away from him with 10 laps to go, forcing Burns to settle into second place for two laps. Although Burns felt like he should have come home with a solid finish, he knew that Gibbs would be extremely hard to hold off as soon as he reached his back bumper. For Heim, Saturday’s outcome is another disappointment in a Late Model career that has included two wins at South Boston get taken away by a disqualification and a ValleyStar Credit Union 300 victory negated by a controversial finish. Heim has a full 2019 schedule ahead of him that includes a few more starts for Lee Pulliam, as well as a part-time ride for Chad Bryant Racing in the ARCA Racing Series. 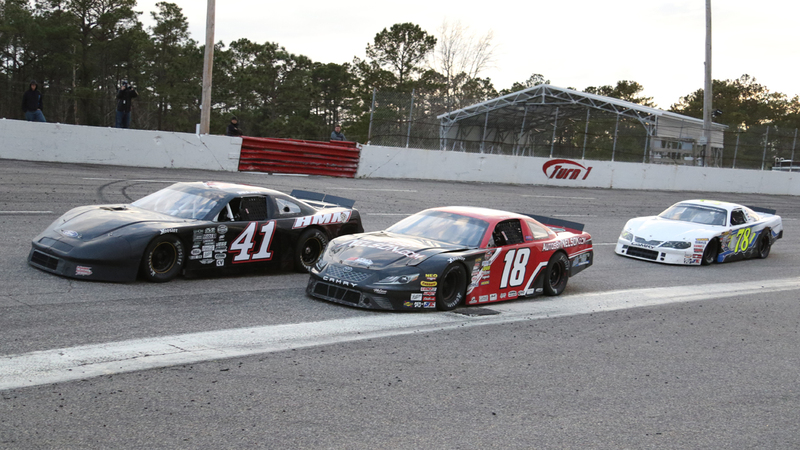 Burns plans to remain actively involved in the weekly Late Model divisions at Myrtle Beach and Hickory Motor Speedway, but also plans to run several more prestigious races such as the Hampton Heat and the Rodney Cook Classic.